The power of an effective SEO strategy to any business cannot be overstated. Search Engine Optimization is the key to increased traffic, more customers, and increased brand awareness. In a current economic landscape that is dominated by online visibility, businesses that are not able to reach out to potential customers online often fail to remain competitive and to grow over time. Once a business establishes an SEO strategy to boost its online visibility and to attract more traffic, it is often important for the company to assess the success of its SEO campaign. Indeed, the only way in which your business can improve its online visibility is through consistently refining its SEO strategy by making relevant improvements. 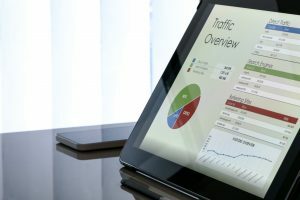 There are several Key Performance Indicators (KPIs) that businesses can use to measure the success of their SEO campaigns. Keeping track of these KPIs will provide valuable insights into what is working and what is not, enabling your business to make the most effective adjustments. The first step towards evaluating the success of any SEO campaign is to determine specific objectives that you want your business to achieve, as well as relevant KPIs that will be used to measure that success. Indeed, even before you design an SEO strategy with keywords, content, location optimization and other factors, you need to know what your end goal is. Are you looking to generate more leads for nurturing or to simply raise brand awareness? Are you looking to boost sales or to simply gain a better understanding of your target audience? These are critical questions to ask in order to establish well-defined objectives that you will use to evaluate your SEO strategy. For example, you will find that if your strategy is to ultimately boost sales, you may end up using actionable keywords such as “best shipping companies near me” or “top 10 t-shirt sellers”. As you evaluate the success of your SEO campaign, you will be able to use more detailed metrics such as a percentage increase in sales during a specific SEO period, or an analysis of the cost per lead generated by SEO as opposed to other marketing channels. Therefore, determining if your SEO is working begins with establishing clearly defined objectives and using relevant KPIs to measure results. The best SEO Company can guide you in getting started on the right footing by establishing attainable and measurable objectives for your SEO campaign. A critical component of any SEO strategy is the keywords that are used to rank content in search engines. Keywords are the pathway that will cause your content to rank on the first page of Google search results. You can determine how effective your current SEO strategy is by keeping track of specific keywords over a certain time period. The keywords that cause your website to rank on the first page should be used more often in your SEO strategy moving forward. Any keywords that are not generating traffic should be revised in order to optimize them for better results. It is important for businesses to keep track of their keywords using software that analyzes and ranks the relevant keywords that the company uses. In this way, you can evaluate the success of specific words and phrases by determining how much traffic they draw to your site. Another way you can use keywords to evaluate your SEO strategy is by comparing the success of your competitors’ SEO campaigns to your own. You can evaluate the keywords that other players in your industry are using and how much traffic they end up drawing as a result. This competitive analysis will offer valuable insights into the success of your own strategy in terms of the specific keywords and phrases that you are working with. The best SEO Company can assist you in objectively evaluating the success of your current keywords. Conversion rates are one of the most important KPIs for determining the success of an SEO campaign. Indeed, it is the conversion of a website visitor into a customer that will ultimately affect a company’s bottom line. It is important to determine which specific keywords, content, and links lead to actual customers at the end of the buying cycle. You can then work towards making these specific conversion engines more effective at generating traffic. If a keyword is associated with higher rates of conversion, your business should optimize that keyword to enable it to rank highly in search results. You can know if your SEO is truly working by analyzing the volume (quantity) and quality of website traffic. Depending on where your website ranks in various search engines, you can carefully analyze the resultant traffic to your website in order to determine if your SEO strategy is attracting its intended audience at the right time and in the right quantity. To measure the quantity of traffic, you can determine how many website visitors you got from an organic search that was carried out. Any successful SEO campaign will lead to a gradual increase in organic traffic from searches conducted that match your target keywords and phrases. The quality of traffic tends to be more specific because it determines how well a website visitor fits your target profile. You can evaluate if your SEO campaign is attracting the intended audience by determining how much time a visitor spends on your site, which specific pages they visited, and whether they engaged with any landing pages. A successful Search Engine Optimization strategy should realize higher quality traffic that will eventually turn into loyal customers. Another way to know if your SEO is working is by regularly keeping track of the origin of your traffic. Visitors may end up on your online platforms in many different ways. This includes directly navigating to your site by either typing in your website URL, using bookmarks, or following email links. Traffic can also end up on your site via referral links from third-party sources or from organic search engines. When evaluating the success of your Search Engine Optimization campaign, noticing that a large part of your traffic comes from direct navigation or third-party sites may indicate that your SEO strategy is not quite effective. However, if you are experiencing traffic from search engines along with a higher ranking, this often indicates that your SEO campaign is working. It is important to regularly keep track of the origin of your website traffic so you can know which specific marketing channels are actually generating traffic. This information can also enable your business to understand its strengths and weaknesses in terms of the specific audiences that you are reaching out to. In addition to Google, there are other search engines that customer often use, such as Bing and Yahoo. These three search engines account for 95 percent of all US search traffic. In order to determine the success of your SEO campaign, it is important to evaluate the contribution of each search engine to your overall website traffic. This means that you should determine the individual contribution of Google, Yahoo, and Bing to how many website visitors they are each directing to your online platforms. Why is this important? First, each search engine has its own specific market share. Businesses can therefore compare how well they are performing on a specific search site to the market share that is present within that space. For example, if Google has a majority of your target market and your performance on Google is much lower than on Yahoo or Bing, you may need to re-evaluate your SEO campaign to improve its performance on Google. This may involve better understanding of Google’s algorithm for ranking websites, using more unique and competitive keywords, generating relevant and appealing content for customers, or incorporating an effective backlinking strategy. In addition, determining the contribution of each search engine can enable your business to accurately track dips in traffic and other KPIs while attributing these changes to specific sources. Evaluating the success of your Search Engine Optimization strategy is an important part of any marketing campaign. Without constant measurement, fine-tuning and adjustment, your SEO campaign can fall behind in its effectiveness over time. Using the best SEO Company can enable your business to clearly develop its key objectives and to establish KPIs that can be used to measure the success of those SEO objectives. In all business industries, competition is on its peak. This means that in order for your business to outrank your competition, you need the help of SEO Experts. 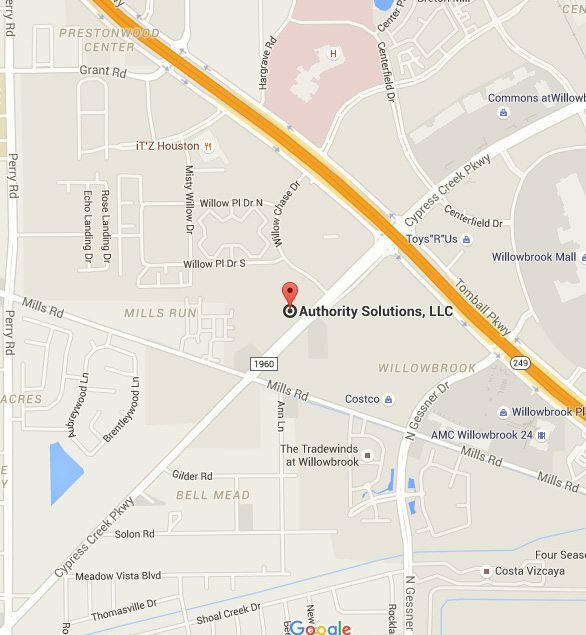 Authority Solutions™ offers much more than simple SEO strategies. Call us now at (888) 997-4146 and learn how we can bring your business to the top!